Hello! I am Louise Liciu from Bucharest, the capital of Romania. I am a student at Ion Neculce High School, at the Biligual Italian Profile. I am really glad to participate at this project, which reveals the beauty expressed through art in mathematics. In Modern Art, artists create a new form of painting, using mathematical formulas and lights instead brushes and dyes. 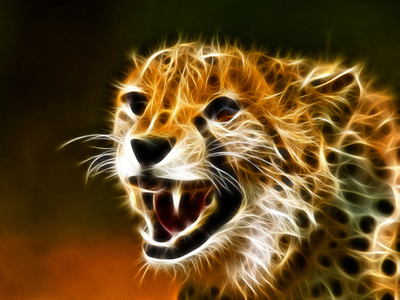 Here's a picture I found and I want to show it to you, with a Light Paiting, which represents Fractal Cheetah.